We recommend performing annual deck maintenance to maintain the natural color of your hardwood deck. Before staining or oiling the surface be sure to clean it thoroughly. Cleaner Part 1: Removes dirt & natural graying from wood. The cleaner contains Sodium Percarbonate to break down mold and mildew. Part one restores your hardwood's color and grain pattern. Coverage is 500 sq ft.
Brightener Part 2: Helps neutralize the wood after cleaning by increasing the pH balance. 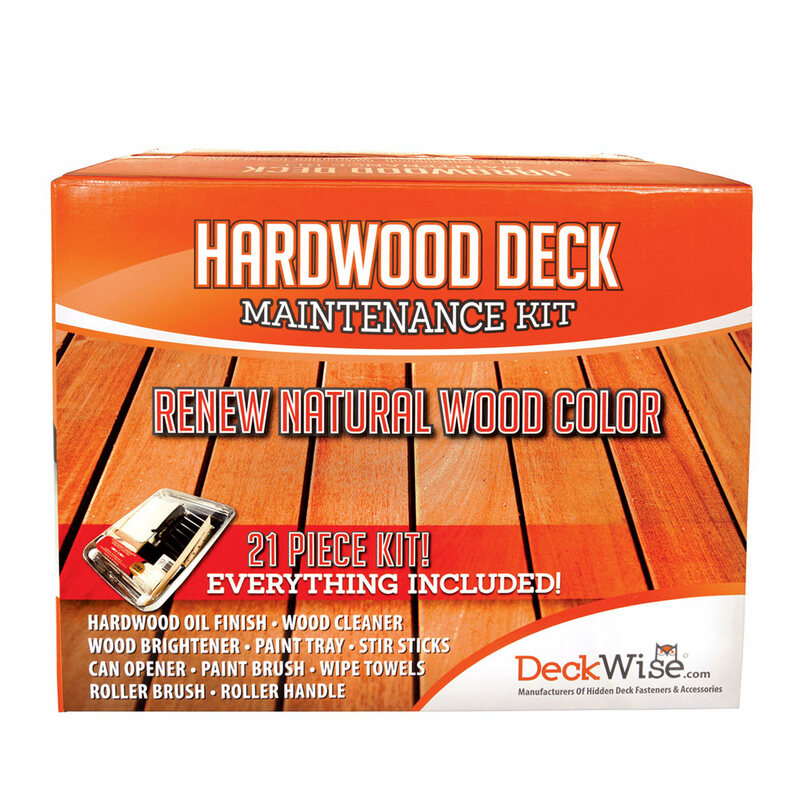 This helps the wood absorb deck finish or stain more evenly and even extends its lifetime! Brightener also removes tannin stains from cedar & redwood and takes out rust, fungi and any leftover dirt remnants. Covers 500 sq ft.